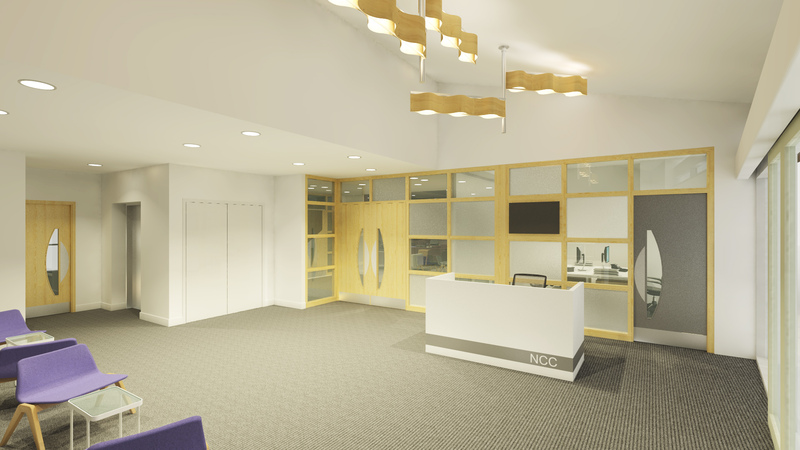 The primary focus of the design was to update the tired interior of the convention centre in order to widen its appeal and promote external bookings. 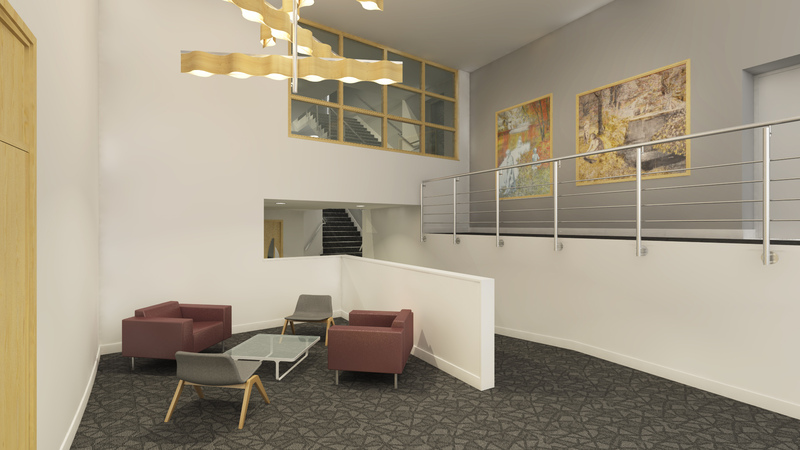 The proposed scheme embraces a large collection of paintings positioned throughout the building. 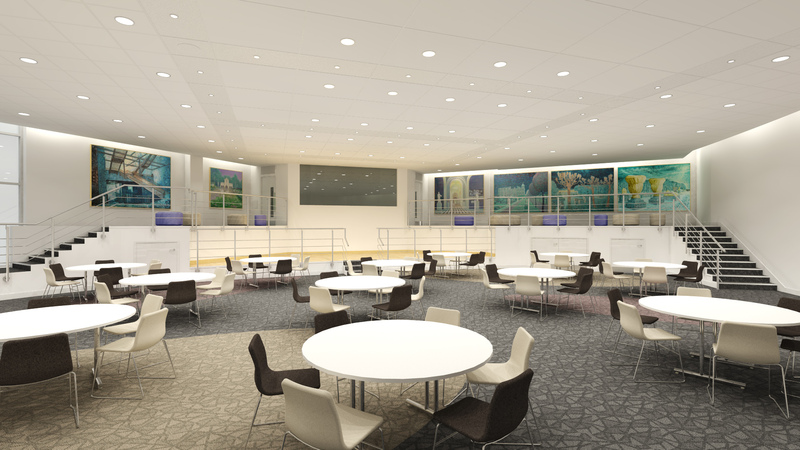 Areas for refurbishment include a ground floor lounge bar which is to become the focus of activity for the building. The aim of the project is to widen the appeal of this space to encourage external lettings and therefore generate income. 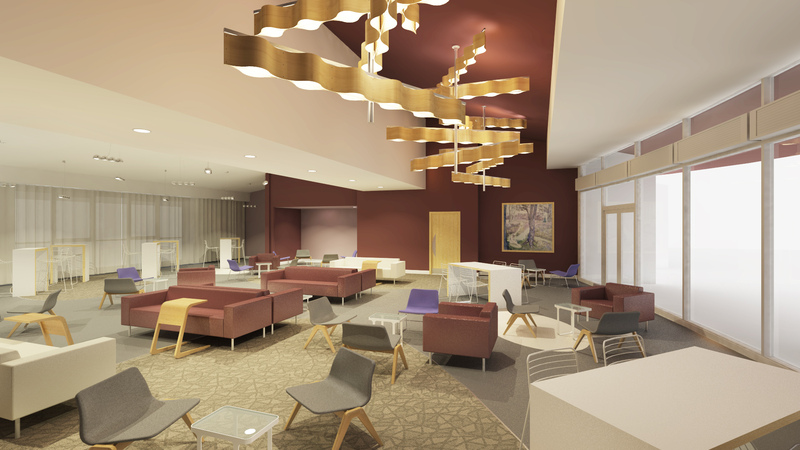 Architectural proposals include new finishes as well as lighting and furniture throughout. These proposals seek to tie the three levels of the building together, creating a single building and cohesive image.